Over the last 5 years, I’ve helped literally scores of people lose weight through weight management. So many people, particularly women, have tried several dieting systems even before their teens. These dieting systems, either established or “fad diets”, often emphasise dramatic weight loss but with little or no support or guidance as to how to sustain the weight loss. The result is often that the person gains back the weight they’ve lost and some. This simultaneously generates an emotional cycle of anger, frustration, humiliation and resignation. 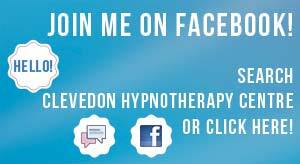 I’ve been frequently asked over the last year if I provide weight loss hypnosis therapy known as a “gastric band”. This form of hypnosis therapy has several names, but the fundamental concept is the same. Usually provided to people who are already clinically obese, the person genuinely believes they have been fitted with a “virtual” gastric band that prevents them overeating and thus ensuring they lose weight. It seems like a drastic approach but perhaps being obese requires drastic measures. I can help people manage their weight long before they become obese or even if they are obese. With hypnosis I help a person to eat less (smaller portions), avoid unhealthy snacks, avoid over eating , and binging. I help a person to reorientate their relationship to food by imparting control and at the same time making food far less of a preoccupation. For many people on conventional diets, thinking about food they can’t have is still thinking about food. I help a person to eat less, enjoy their healthy meals more, begin to exercise or accelerate their exercise regime, lose weight gradually and keep the weight off for the rest of their lives. I’m not helping a person to constructively change their habits for a few weeks but permanently. I help a person to feel good about their decisions. A person learns to give their body the care it deserves. Sometimes will power is necessary and that too can be imparted with hypnotherapy.